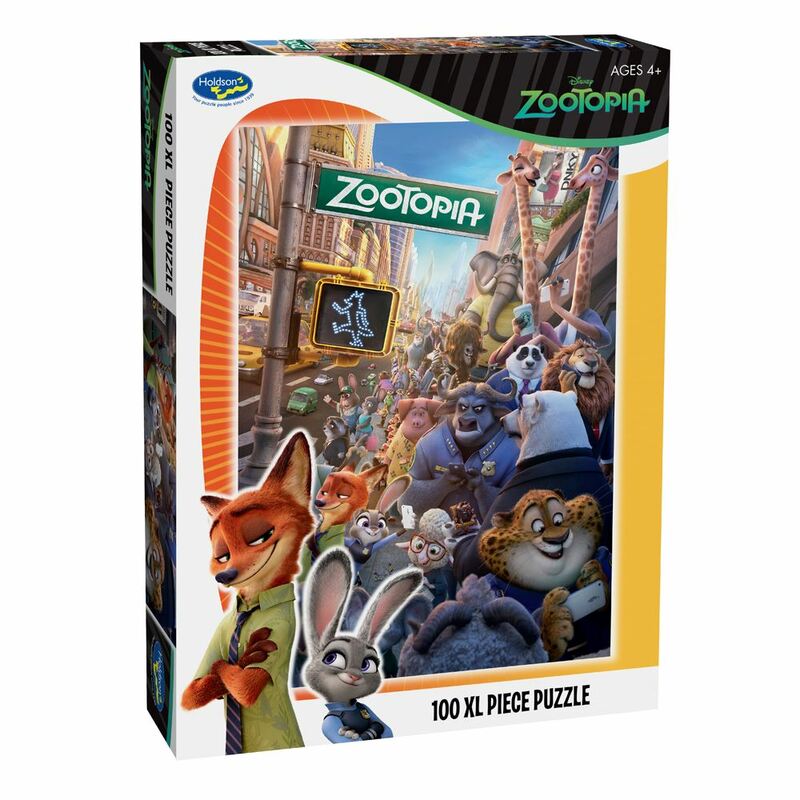 This Holdson 100pc extra large puzzle showcases some of your favourite animals from the city of Zootopia, a mammal metropolis. Age 4+ years. Made in New Zealand by Holdson. Approximate puzzle dimension: 493mm x 688mm. Box size: 270mm x 370mm.